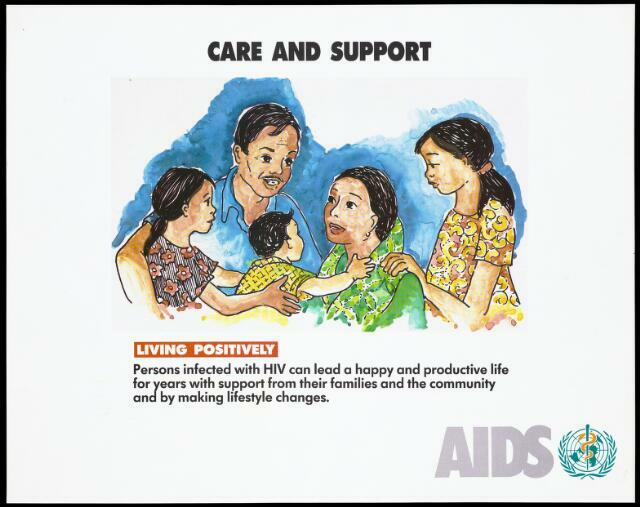 An HIV positive woman being comforted by her husband and children; advertisement by the World Health Organization for living positively with HIV. Colour lithograph, ca. 1995. Care and support. Living positively. Persons infected with HIV can lead a happy and productive life for years with support from their families and the community and by making lifestyle changes. AIDS.